If someone returns to your site over and over, it's safe to assume they're a fan. 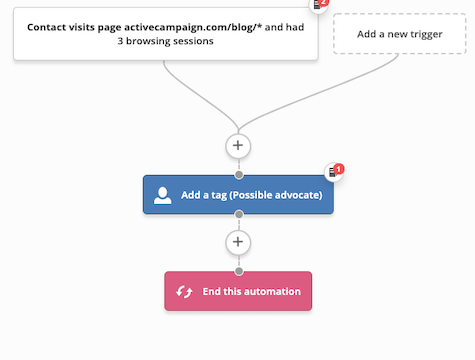 Apply a tag to keep track of repeat visitors. You could use this tag to begin a follow-up sequence that nurtures the relationship and encourages advocacy.